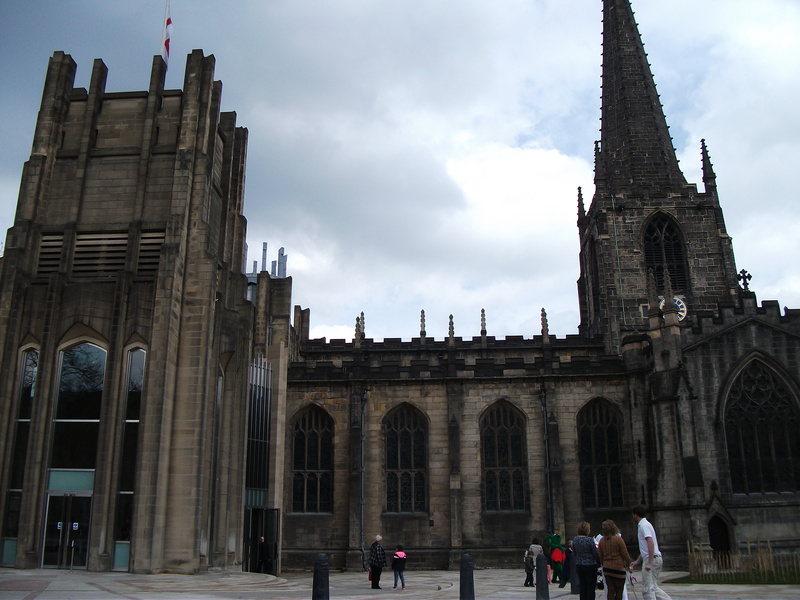 It started in the late 18th century when the Reverend Wilkinson at Sheffield’s Parish Church (now the Cathedral) sold off part of St Peter’s graveyard, so they could widen the street round the church. Bodies were dug up and the local people protested. A local songwriter called Mather wrote a rude song called Black Revolution about it. People were shocked at the fact that the dead were not left in peace. People, including medical students started robbing graves. Times were hard, a lot of people were dying and a lot of money could be made by digging up freshly buried bodies. The penalty for removing a body from a grave was only a fine or imprisonment, so for many it was worth the risk for what was then a lucrative business. One method the body snatchers used was to dig at the head end of a recent burial, digging with a wooden spade (quieter than metal). When they reached the coffin, they broke open the coffin, put a rope around the corpse and dragged it out. They were careful not to steal anything such as jewellery or clothes as this would cause them to be liable to a felony charge. To help prevent the body-snatchers grave diggers would mix straw and twigs in with the soil making the earth harder to dig. Raising the level of the churchyard wall and the addition of iron railings did little to deter body-snatchers. Other methods were to place a large slab or iron grill, known as mortsafes, over the grave which were removed when putrefaction had begun. However these were not always successful as the gangs would dig down by the head of the grave at an angle to reach the coffin and remove the body from the head of the coffin by dragging it out with a pair of irons. 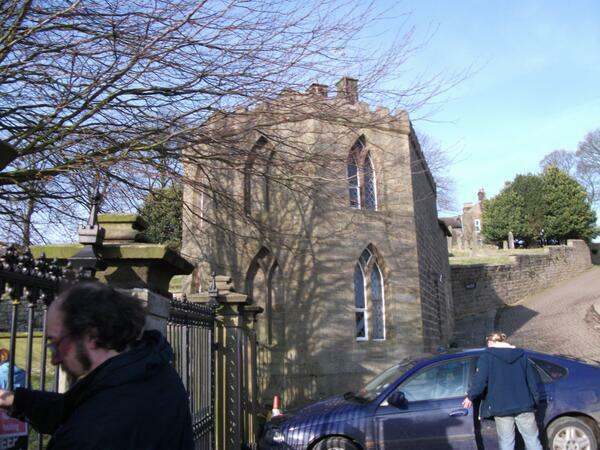 In Bradfield the church people built a watchtower so they could watch for the Grave Robbers or resurrectionists. 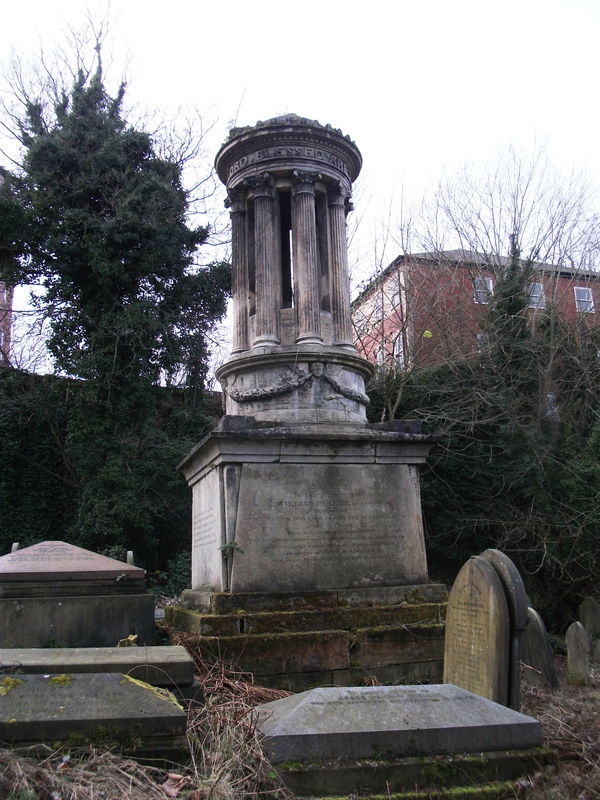 In 1829 eleven graves were dug up in St Pauls graveyard for people to prove that no one had stolen their relatives bodies. At the same time a National scandal had come to light of two Irish labourers in Edinburgh, Burke and Hare, who decided that it was much easier to murder people and sell their bodies than go digging graves in the middle of the night. 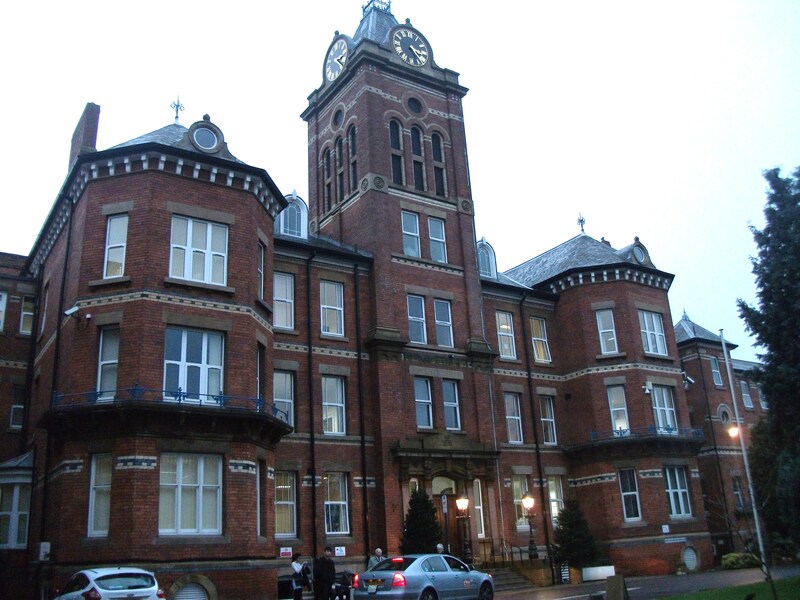 In 1831 two policemen saw a man lurking near the Medical school with a large bundle. When they challenged him he dropped the bundle which proved to the dead body of a man. 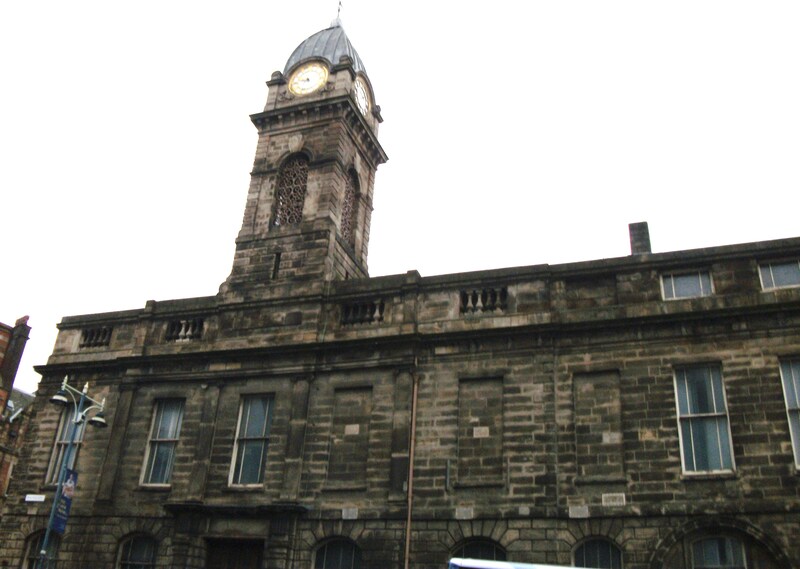 Later investigation found it to be the body of William Hopkinson a 33 year old who had died of Typhus and had been recently buried in Attercliffe Cemetery. The robber was apparently well known to the police. In 1834 Samuel Roberts started putting out leaflets to anyone in Sheffield who would take them and going round the pubs. Have the rich, then, any right to doom those who are compelled by poverty to demand relief, on that account, to any species of punishment? Certainly not; any more than the other members of a sick club have to inflict punishment on the sick members. But the rich have done this ! He was accused of whipping up the crowd that burnt down the School of Anatomy but truth be told local people were already angry about the lack of respect for the dead. Things got a little out of hand when someone heard “Murder Murder” coming from outside the school of Anatomy and all the fears and anger exploded into a determination to stop the Anatomists. Never mind that the original Shout had been a domestic quarrel between the caretaker and his wife the crowd grew till 1’000 people gathered and 30 angry people stormed the buildings and set fire to the building. By the time the fire brigade was allowed in there was very little that remained. No one was ever successfully prosecuted for the destruction of the school and this may be indicative of a certain amount of local support for the popular view. The dissection of the poor was profoundly unpopular, and contributed to the fear of the pauper funeral, and of dying in the workhouse. As well as the body snatching there was also the rise in Anglican clergy charging large fees for burial that meant many had to walk for miles to find a churchyard that had low enough fees for the poorer worker to be able to afford a burial plot. Fees were unregulated and clergy often charged double for non conformists or refused outright to bury them. Many churchyards were scenes of arguments between the bereaved and the clergy and church officers. “The General Cemetery was one of the first commercial landscape cemeteries in Britain. 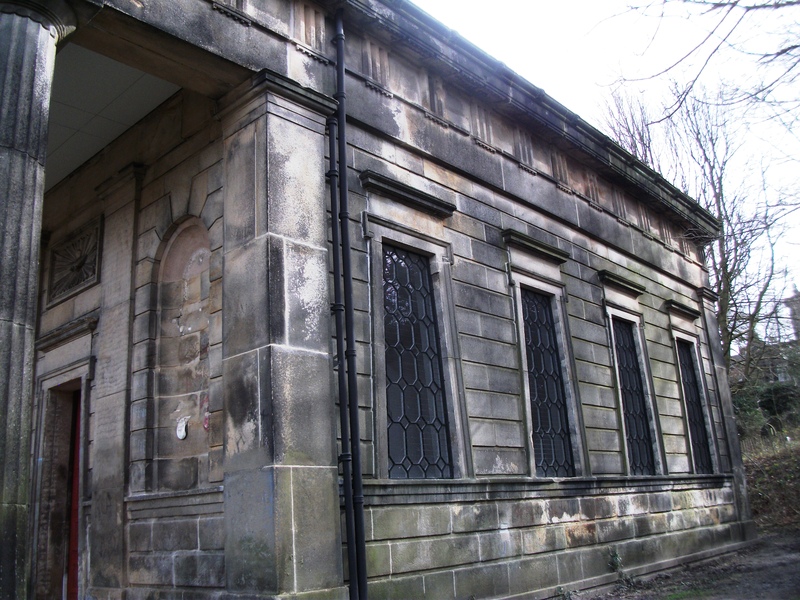 Its opening in 1836 as a Nonconformist cemetery was a response to the rapid growth of Sheffield and the relatively poor state of the town’s churchyards, but also to problems of burial in an Anglican churchyard. Lydia Shore of Meersbrook Hall was refused burial in the family vault at Norton Church due to her Presbyterian beliefs and was buried in the General Cemetery instead. An advert was placed in the local papers 1834 by Brunswick Chapel, in London Road (now demolished). an overspill burial ground. In the same year in Stoke Newington a scandal broke out when it was found that the Workhouse master and the parish undertaker, Robert Hogg, had become profitable traders in corpses. The dead house in the workhouse contained bodies from the workhouse and elsewhere, as well as coffins containing dissected remains that had been removed from Guy’s Hospital for burial. On the morning of a workhouse inmate’s burial, after a relative (usually a daughter or sister) had viewed the body, she was sent from the dead house to the waiting room while coffin lid was nailed down. She was then called and told to step into the funeral carriage, while the undertaker’s men lifted a coffin into the accompanying hearse. That coffin contained a stranger’s dissected remains. While the relative went to witness what she thought was her relatives burial, Feist filled in the notice that made that corpse available for dissection. In Sheffield itself an argument broke out at St Johns churchyard Park which like Wardsend was becoming full and needed an extension. They had been allowed to continue however till they could buy some land to bury some people there, on the condition that old interments should not be disturbed, and that where in family graves more than one interment took place the coffin should be separated by earth to the thickness of half a yard (about half a metre) and that only one coffin should be buried in the same grave. However the owner of the adjoining cottages claimed that multiple burials were being made especially where young children had been buried. He claimed that the child’s coffin was put to one side while a new burial was made and then the child’s coffin thrown on top. Although he produced several witnesses the authorities decided there was insufficient proof. Over the years Wardsend graveyard filled up till one day rumours started up that a strange smell was coming from the Sextons Coach House. Robert Dixon and his wife who had been living with the Sexton had a row. Not sure what the row was about but Dixon started going round telling everybody there were strange goings on at Wardsend. “Shortly after I had gone there I observed a curious smell in the room above the stable. I thrust some knots out of the deal boards, and looked down into the stable. We had then been there two or three weeks. I saw about twenty coffins- some of persons about fifteen and sixteen and ten years old–others were those of stillborn children. None of them appeared to be the coffins of grown up persons. I had seen Howard lock and unlock this door, and knew he had the key. The coffins were not covered over with anything, and were lying on the ground, piled in heaps on the top of each other. I saw some broken up coffins piled in a corner by themselves–the wood appeared to be new. Those pieces are there now. The day I flitted ( last Monday ) I and several other men saw in the stone shed near the house four or five sides and lids of coffins. they were in a dark corner of the shed. Did you ever really see a body, or only coffins in the shed? I lifted up the lid of one coffin, in the shed, about six weeks ago. The night following the body had been removed from the coffin, but the coffin remained in the shed. I lifted the lid with my toe, and saw the face of the body. It looked very fresh, as though it had been buried a week or two. It looked like the face of a boy about fifteen years of age. I looked at the coffin the same night, after Howard had set off to Sheffield. Had seen him go. He put two corpses into a box. One appeared to be ten, and the other fifteen, I saw the same coffin empty in the shed the same night. I came home earlier than usual. I thought he looked very ***** and “sheepish” in my eye. I had had suspicion of him before. I saw him go in and out of the house and go up the burial ground. I went upstairs and looked through the holes in the floor, and waited till he came back into the stable. He appeared to be cutting off the leg of a child about ten years old.The child lay on two planks, and he had a carving knife in his hand. I saw him put the bodies into a box. Concerned parents went to the cemetery and found a large pit. In several cases no trace of the coffins could be found, and this, of course, greatly increased the excitement. 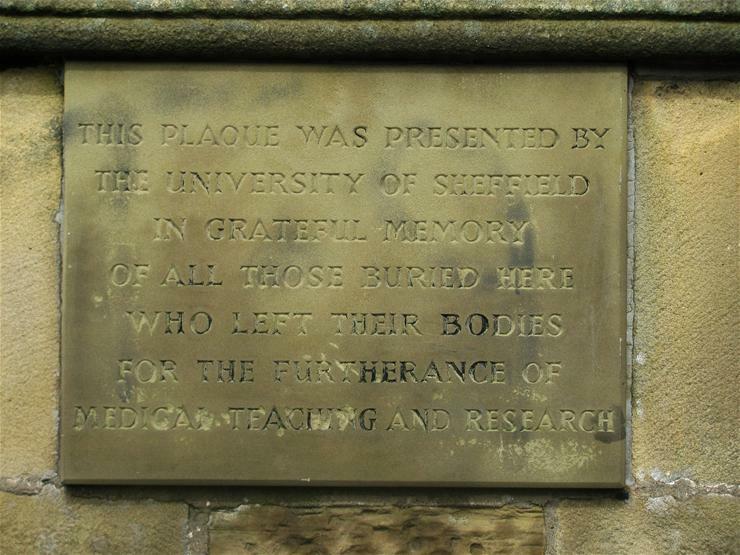 The most revolting discovery of all, however, was made in an unused part of the cemetery grounds, where was found a large hole, roughly covered with earth and planks, and containing about twenty coffins, and a box in which were the remains of a man who had been dissected at the Sheffield Medical School. One parent claimed one of the bodies there was of their two year old son who had been buried nine months ago at the cost of ten shillings. She claimed the body hadn’t been buried that deep at the funeral and that the sexton had said they could have a better family grave if she paid a further twenty two shillings within the year. Dixon wife couldn’t have helped the parents disquiet by saying. I have seen the porter from the Medical School go up the burial ground. He came more than once. I first saw him there on the Thursday in the second week we went to live there, which would have been on the third of April. The Rev. accused Dixon and Oxspring for stirring up trouble and published a letter in the paper later saying. There was a funeral in the afternoon and the crowd was silent, but anger was growing and the crowd now in the hundreds and burnt a house in Burrowlee to the ground. One of the papers described it as a modified version of a lynch mob. But said in the circumstances was understandable. It was later found that Rev Livesey had made a false entry in the burial register, so he was charged and tried for that. He was sentenced to one weeks imprisonment. The Sexton said that he had removed bodies from their graves, but only on the instructions of the Vicar. The disinterments were of children – whose small bodies would more quickly turn to dust – buried in 1857 and 1858. It was their bodies that were in the hole. He was charged with unlawfully disinterring the bodies of two children, William Henry Johnson and Charley Hinchliffe. He was sentenced to three months. 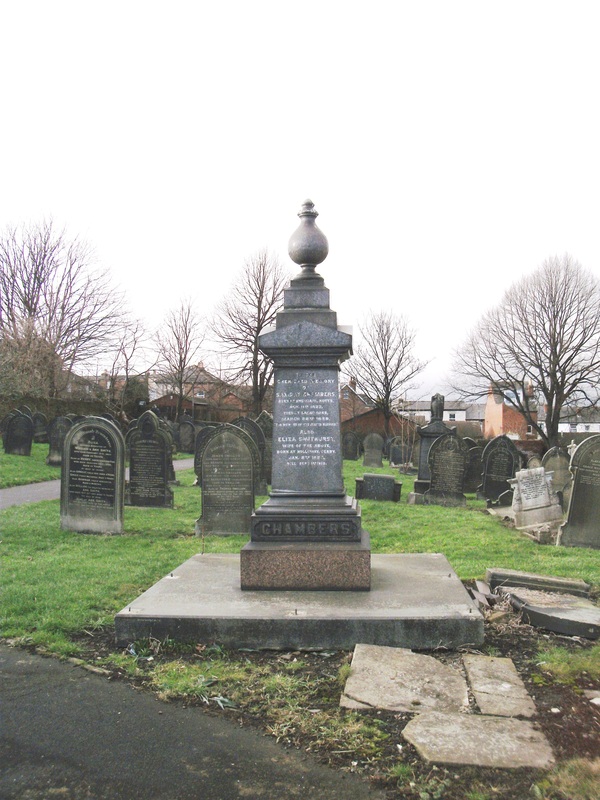 Burngreave Cemetery was opened in 1861. 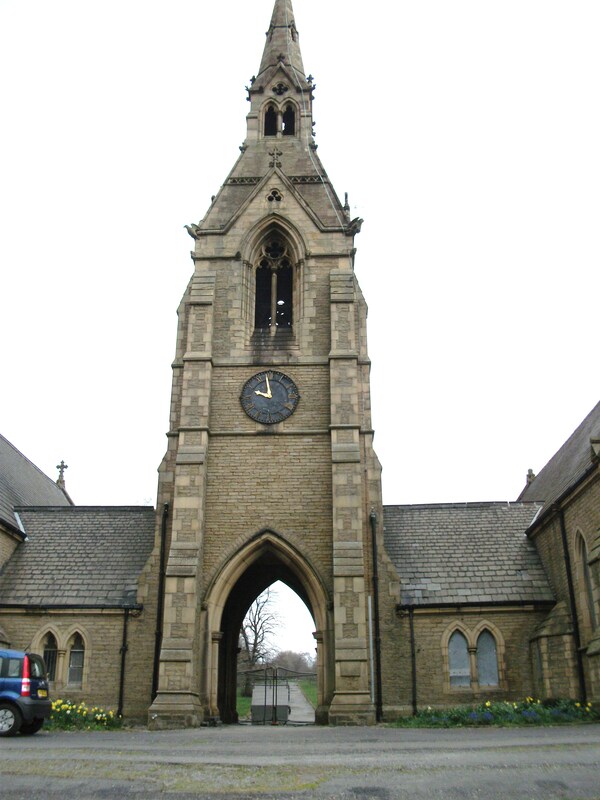 The cemetery is situated in what was then Brightside Bierlow, one of the townships which made up Sheffield. In the graveyard is a memorial stone to all the people who gave their bodies for dissection. It doesn’t say how many had willed their bodies or had the misfortune to be lunatics or unclaimed from the Workhouse. In 1882 there was yet another scandal of a body being sent for dissection without consent. Unsurprisingly the residents of workhouses, were not happy with the Anatomy act, particularly when “mistakes” happened. Many evaded examination by signing a declaration that they did not wish to be dissected and the supply from workhouses dropped. Burial services and coffins were often rudimentary. 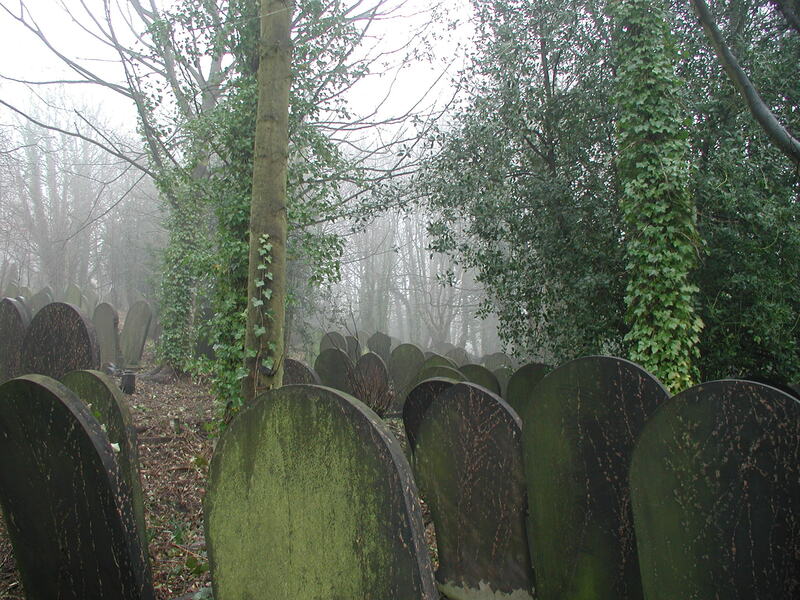 Burial clubs became common – like a Christmas Club – pay so much a week for your funeral. Just before World War 1 ten percent of the income of women in Lambeth was set aside for ‘Industrial insurance’. The only change to the act, however, was in response to repeated failure of the anatomists to bury remains within the stipulated period: the period was extended in 1871. 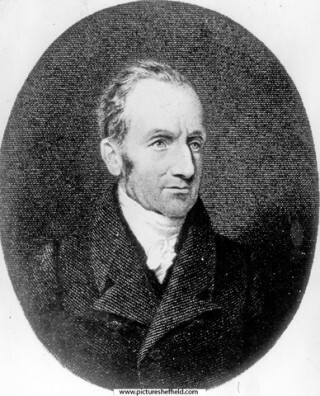 Anatomists operated under the 1832 act until very recently. With the closure of the workhouses the supply of available bodies declined: there were shortages in the 1920s. The Inspector of Anatomy at the time suggested ‘a modest fee of five shillings’ to officials in mental homes – by then the main source of supply. At this point there was also a rise in donations. From almost zero before world war one, to 5% between the wars, then rising again after world war two to almost 100%. It parallels a rise in cremation rather than burial and perhaps tokens a change in our attitude to our bodies. Perhaps it parallels the demise of the paupers funeral and the idea that poverty and misfortune could qualify a person for dismemberment against their will. But now any bodies supplied to Medical schools are willed to them by the deceased.